When other public transit systems licensed the same software, they found it was used mostly against racialized or homeless individuals. Photo by Harry Choi via the Torontoist Flickr Pool. As part of its new customer safety campaign, the TTC licensed a safety app from a U.S. company called Elerts. The contract, part of the #ThisIsWhere campaign, is worth $500,000 over two years. Posters direct riders to thisiswhere.ca to download an app called SafeTTC. It’s a branded application of a general safety app made by Elerts. The app is designed for users to report instances of violence or threat on the TTC via the downloadable app. As written last June, data on the app’s use on the the Bay Area Rapid Transit system show it was used disproportionately on Black and homeless public transit riders. Keeping on top of data regarding reports would be helpful, and this may be a good case to call for open data on the reporting of incidents. The TTC has been supportive of past requests for open data transparency, most recently in regards to vehicle delay data. The TTC has now included “racism and homophobia” as issues that may be reported through the app, though last year it was clearly being launched to combat sexual assault and violence against women. Other issues previously raised about the app include that it is simply bad technology (a case of tech solutionism) and that the usage rate/download numbers have been low wherever the app is in circulation. Several additional issues have come to light since the app has been developed and released in Toronto. Elerts is a firm that supplies solutions for emergency management: software to deal with bomb threats or school shooters. The firm is a partner of the National Association of School Resource Officers. Setting aside value for money (which this contract certainly does not represent), even if the TTC did take issue with Elert’s relationship with NASRO, they would still have to purchase from the vendor if their bid was lowest. There is currently no place in purchasing to consider how our dollars are having wider impact. The cost to license the application is approximately $500,000 for two years. This is a sizable investment in a closed software application, and a missed opportunity to support open, perhaps local civic tech. If the TTC was convinced that this application was the way to go, it could have been a chance to issue a challenge to potential vendors. As a requirement of the application, the City could have called for open source development. This might have led to partnership on training, maintenance, and further development by government IT staff and/or government IT staff in other cities. As a city and agency constantly striving for innovation, cost savings, and efficiencies, the purchase is questionable. The buying business of agencies, boards, and commissions of Toronto must be watched just as closely as standard City business is. If innovation is happening in core purchasing for the City of Toronto, it should also be happening for its ABCs. In a recent Toronto Star article, TTC Chair Josh Colle responded to concerns about the lawsuit. 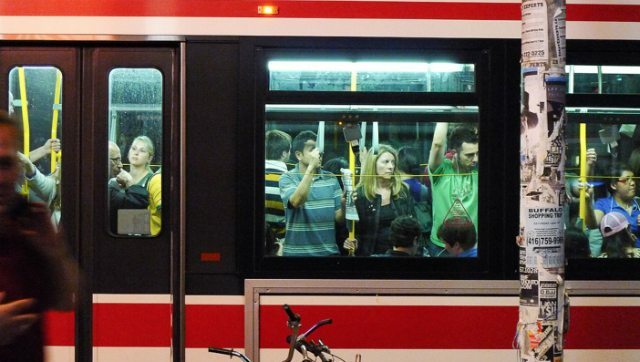 Colle said the SafeTTC app shouldn’t raise any privacy concerns for Toronto riders. “You can turn your location services off, you can just not use the app at all,” he said. Though there may not be any issue coming out of the lawsuit, there should be confidence in the purchased product, not a shift of the onus onto users to disable parts of it. The number of problems apparent throughout this purchasing process, from solution to design to vendor, is a reminder of how easy it is to talk about civic digital innovation while operating in a completely opposing and problematic way. One opportunity moving forward is to proactively invite all City ABCs to a procurement forum to discuss purchases coming up in the next 12 months that will be requiring IT procurement and thinking with Toronto’s tech and civic tech community on ways to work on them. All the hand waving about tech in Toronto is worth nothing if the software the City ends up actually buying is bad tech.